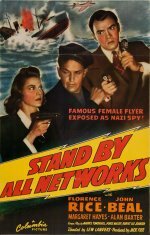 from imdb: In 1941, before the bombing of Pearl Harbor, Ben Fallon (John Beal), radio reporter and commentator, constantly uncovers evidence of spy-ring sabotage to the discomfiture of the police and the government. Ben is interested in Lela Cramer (Margaret Hayes), amateur flyer working for the radio station Ben broadcasts for and, at the request of Grant Neally (Pierre Watkin), his boss, asks Lela to give a job to Frances Prescott (Florence Rice). 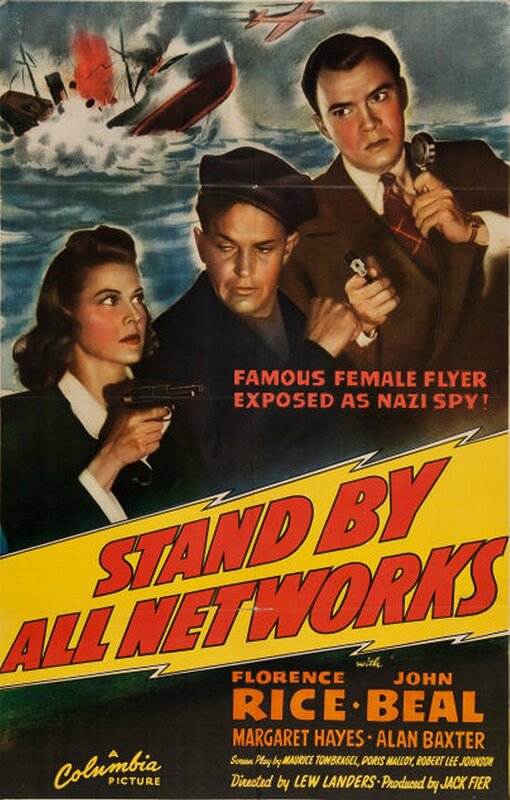 After several U.S. ships are torpedoed by German submarines, a few miles out in the Atlantic close to New York City, Ben begins to suspect a station employee may be feeding information to the Nazi agents.